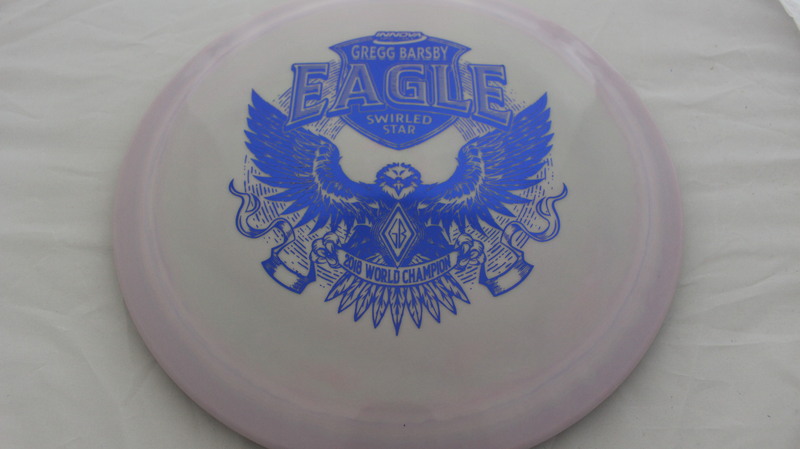 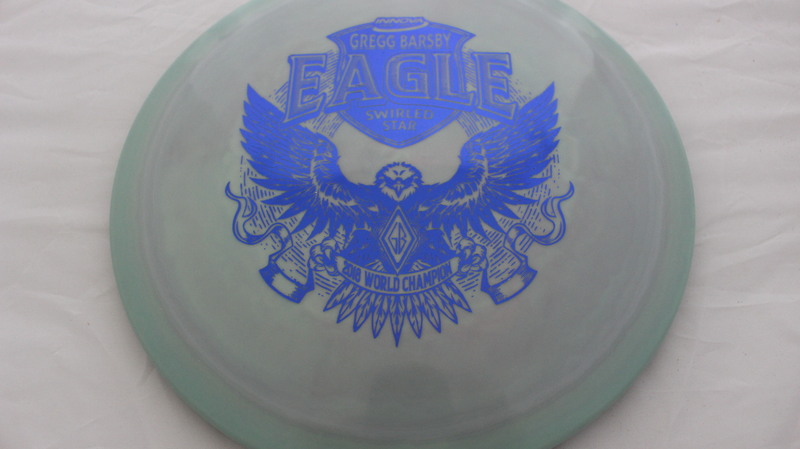 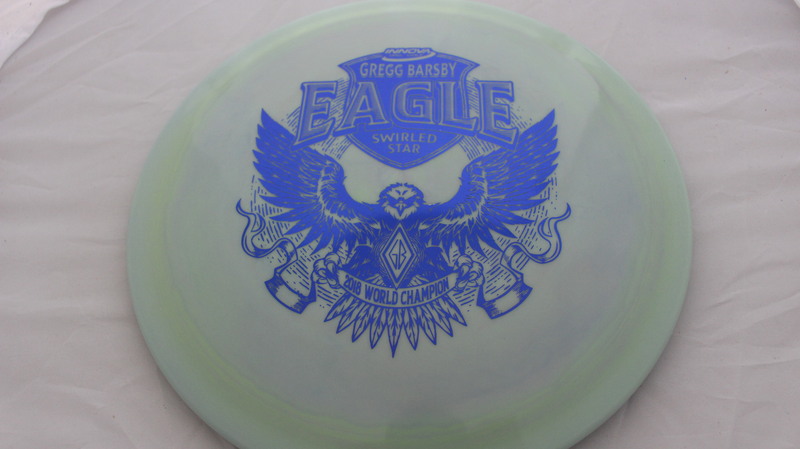 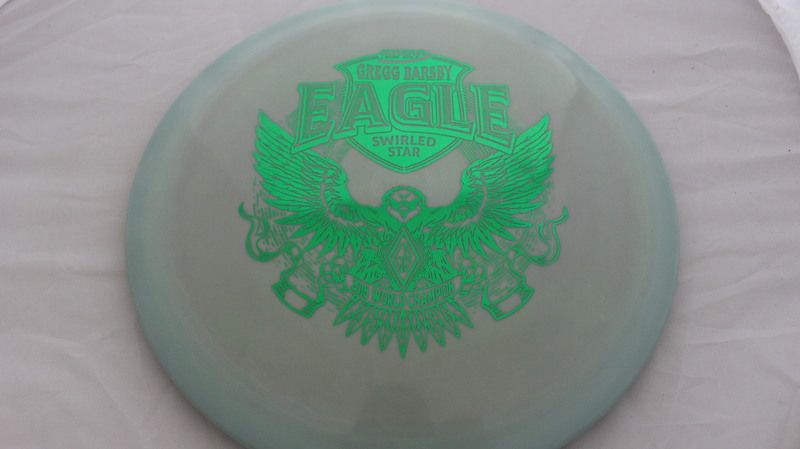 Barsby Eagle – Finally! 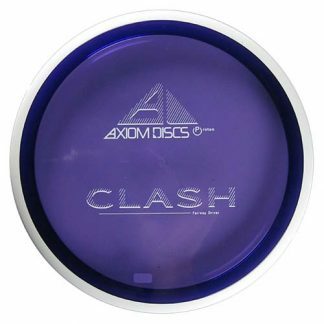 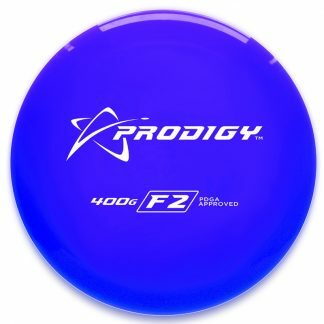 The disc we have all been waiting for since the final putt dropped at the 2018 PDGA World Championship. 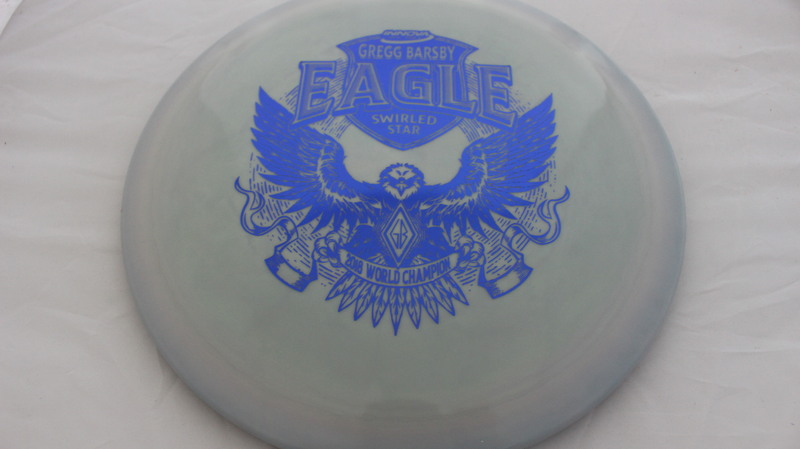 Barsby and the Eagle, separated at birth, reunited again with a bit a swirl added to the mix as well! 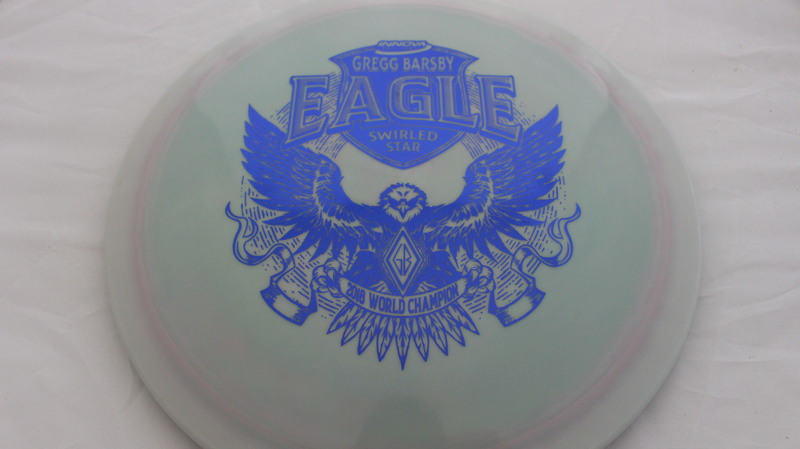 A nice stamp design with Gregg’s GV (Grass Valley) logo – hometown representation imprinted on the magnificent Eagle spreading it’s wings and ready to fly. 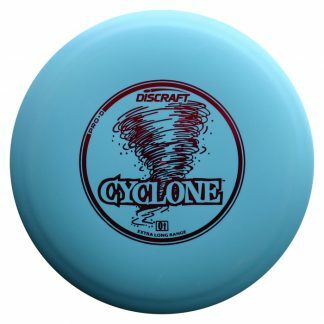 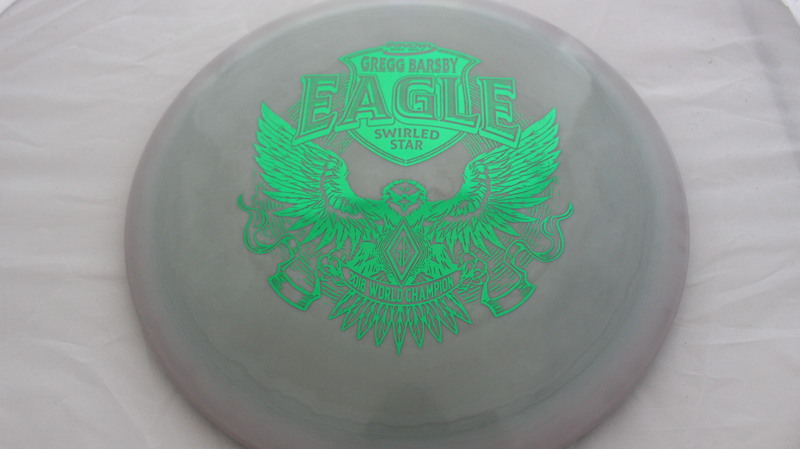 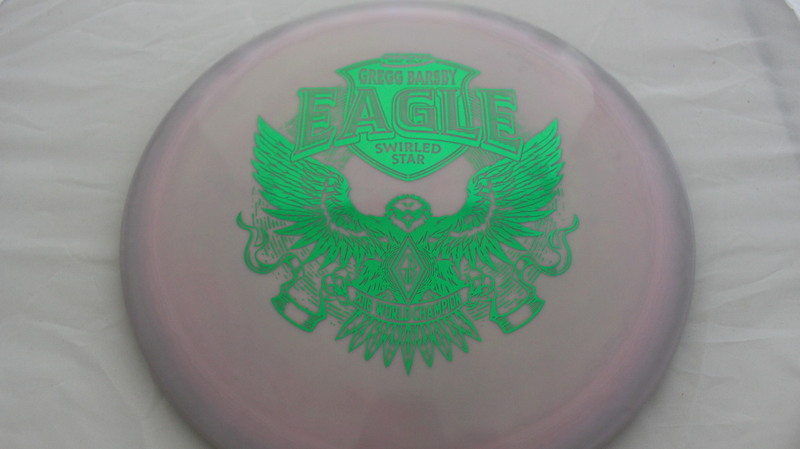 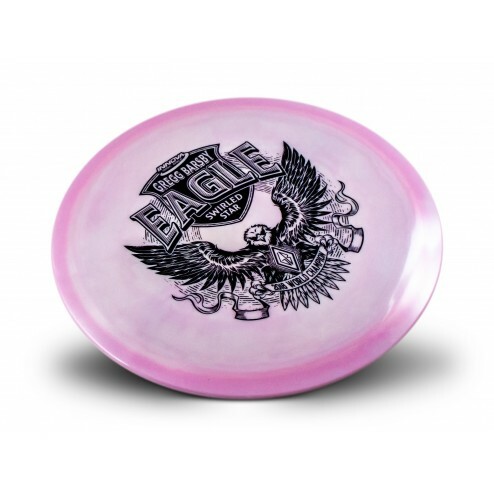 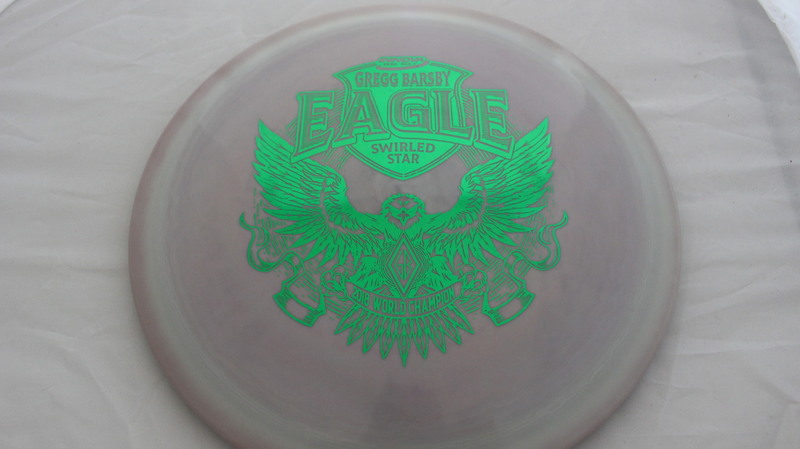 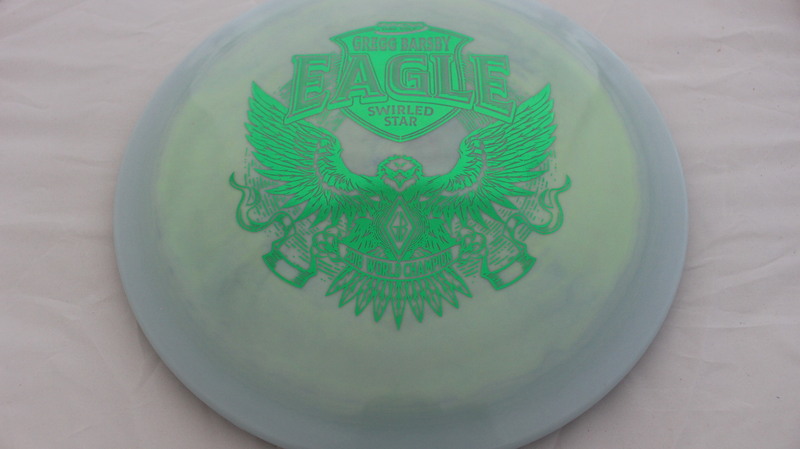 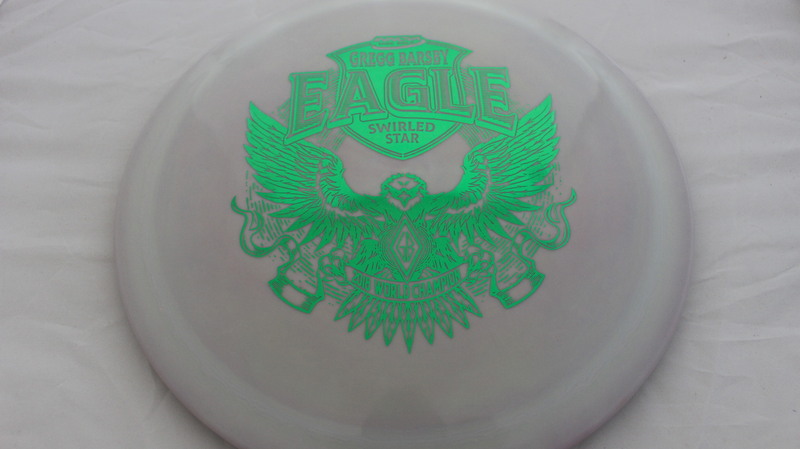 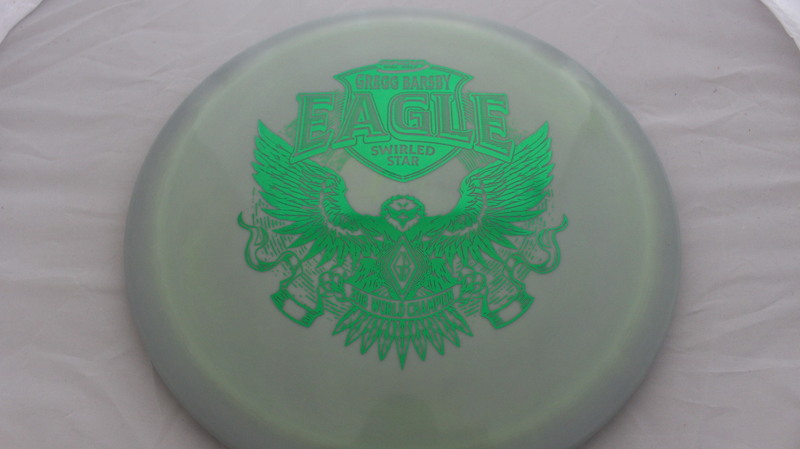 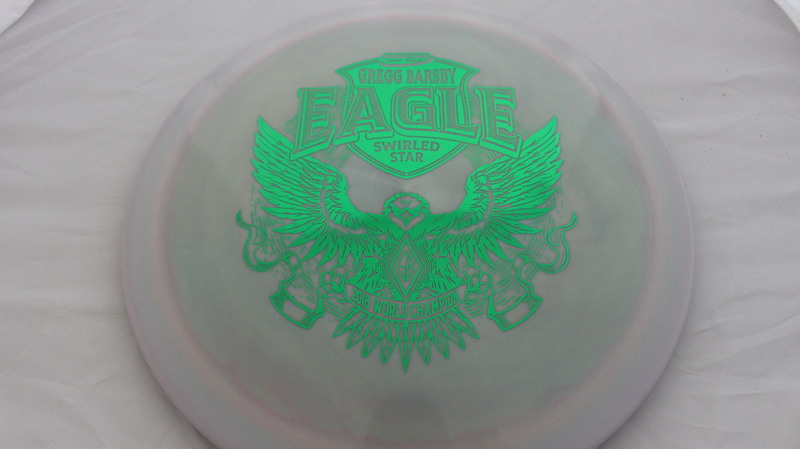 Eagle – One of the tried and true molds from the disc golf world. 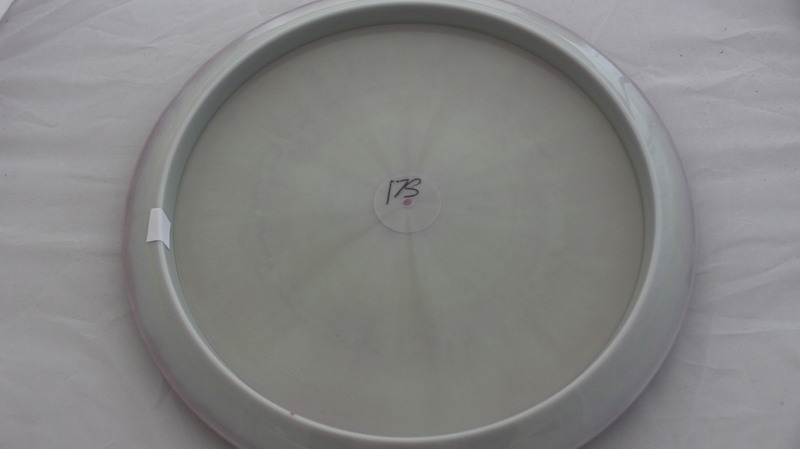 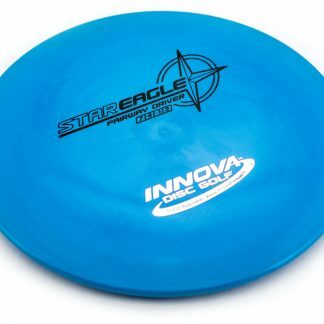 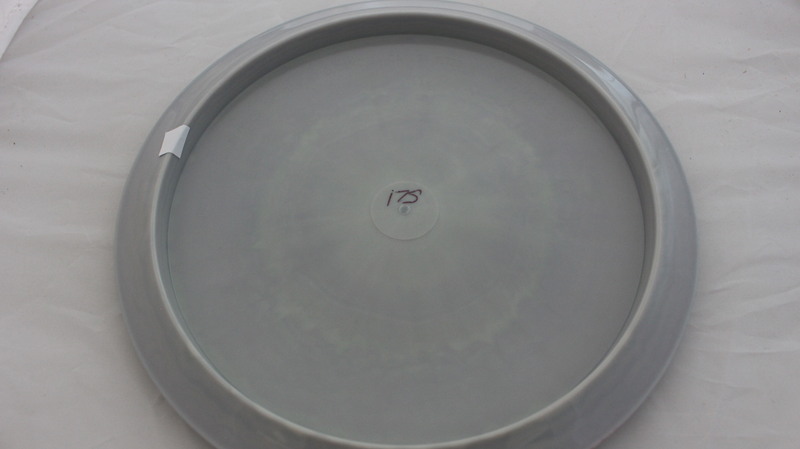 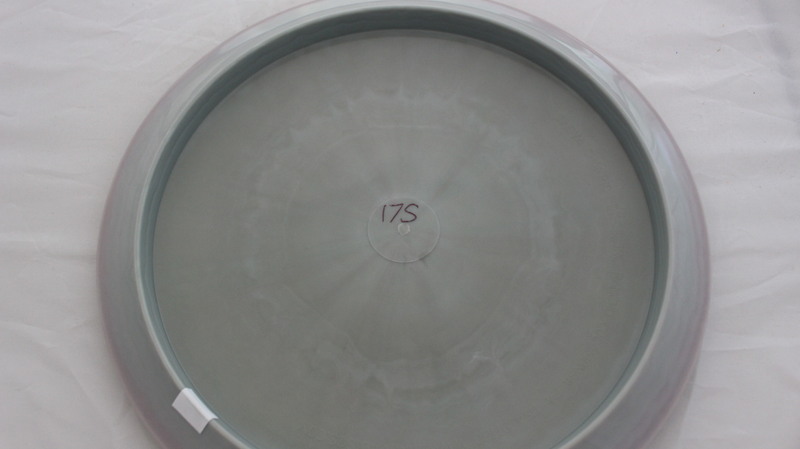 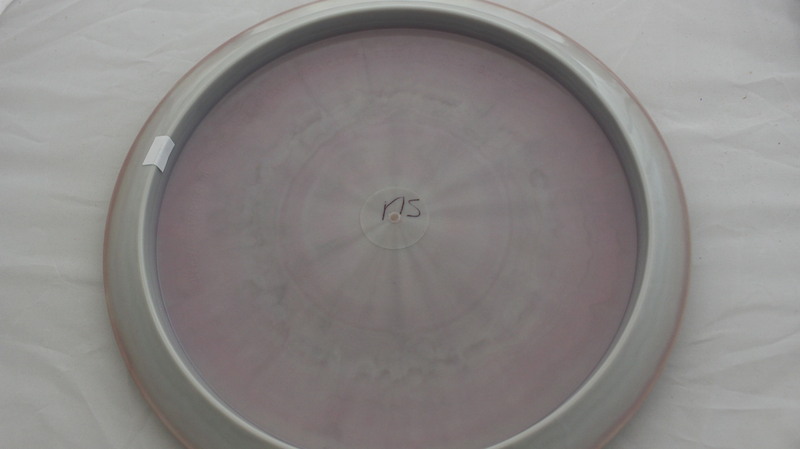 One of the original discs from Innova going back to their early days in 1983, the Eagle has certainly stood the test of time. 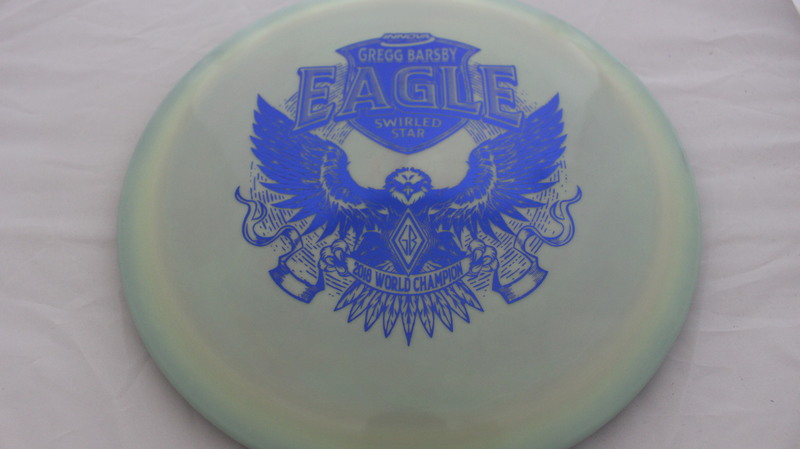 Fitting a slot perfectly between the Firebird and Teebird for stability, the Eagle has a chance to be a favorite Fairway Driver for many a golfer! 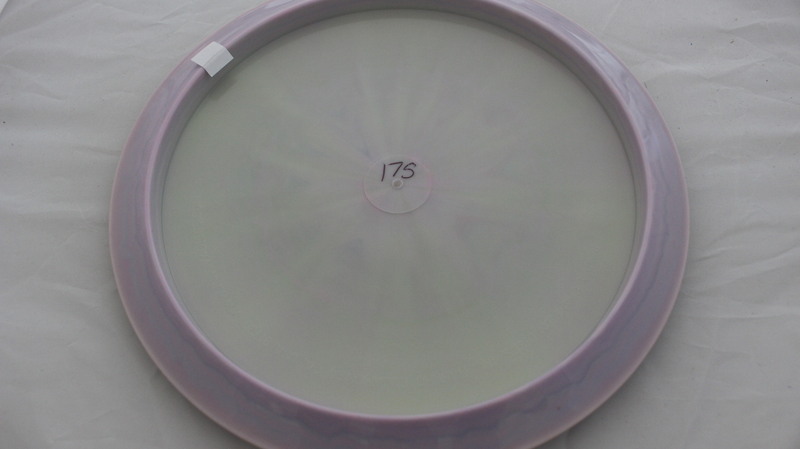 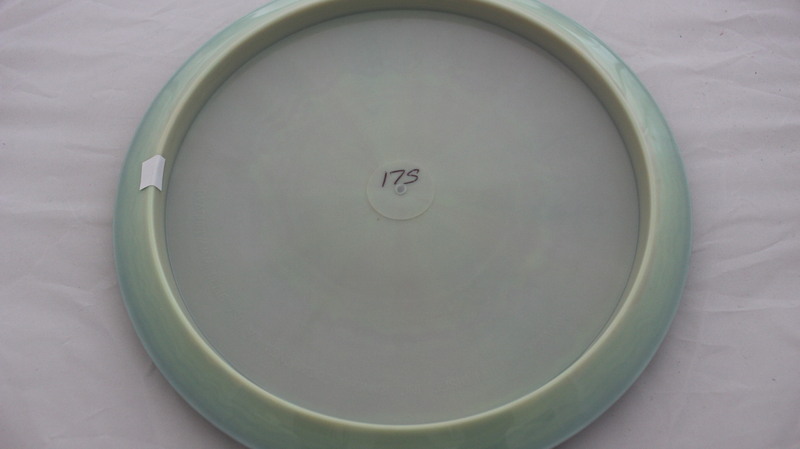 Blue 175g Somewhat Domey Neutral Stiffness $20.18 Just 1 left! 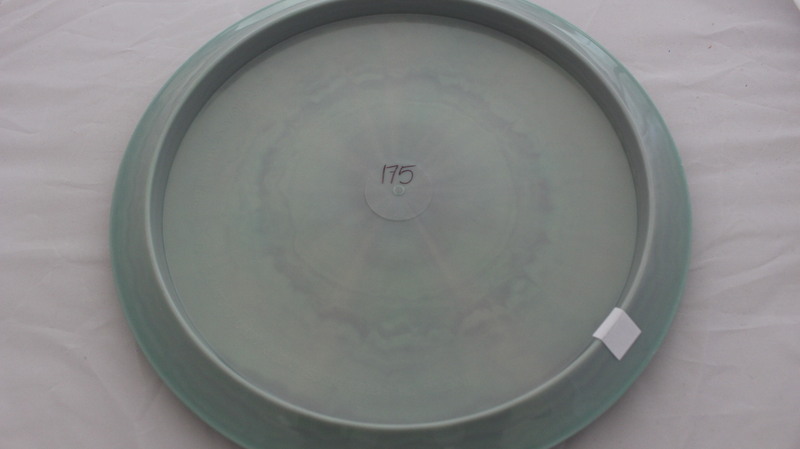 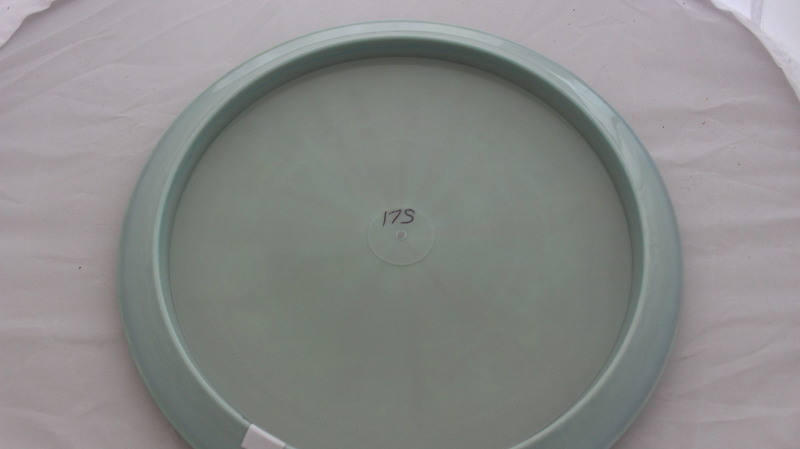 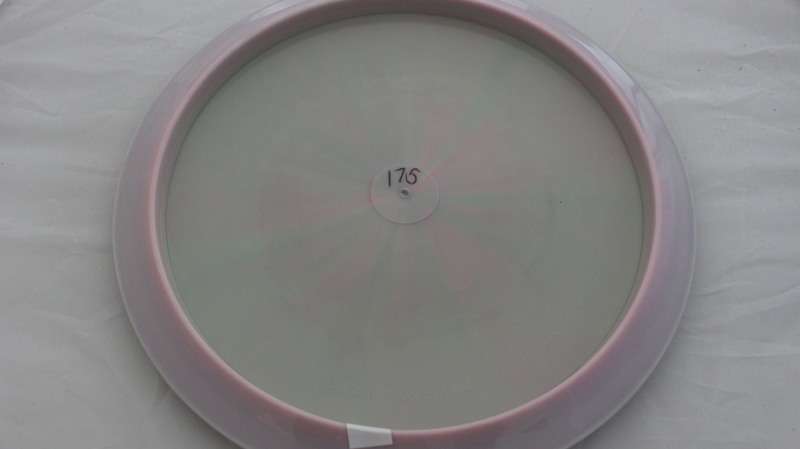 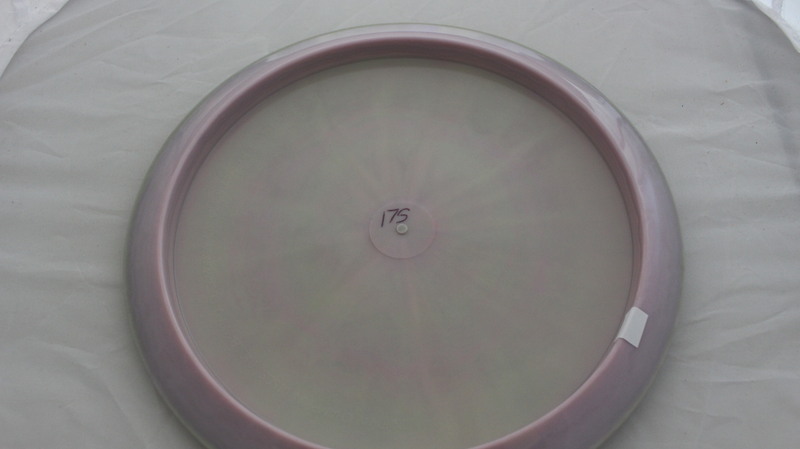 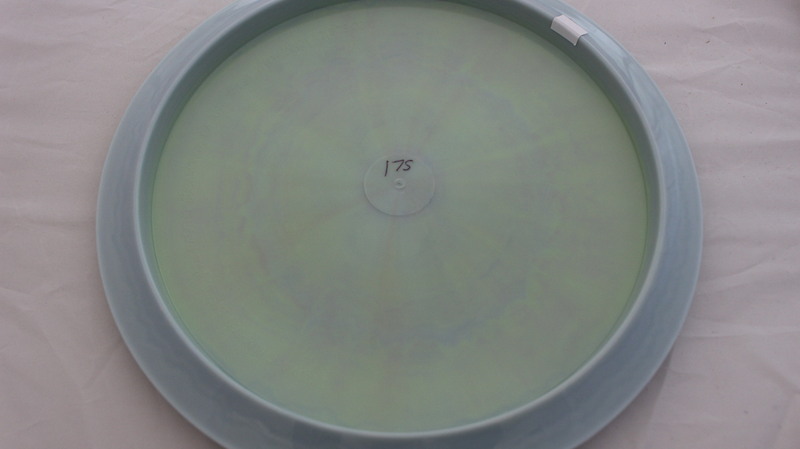 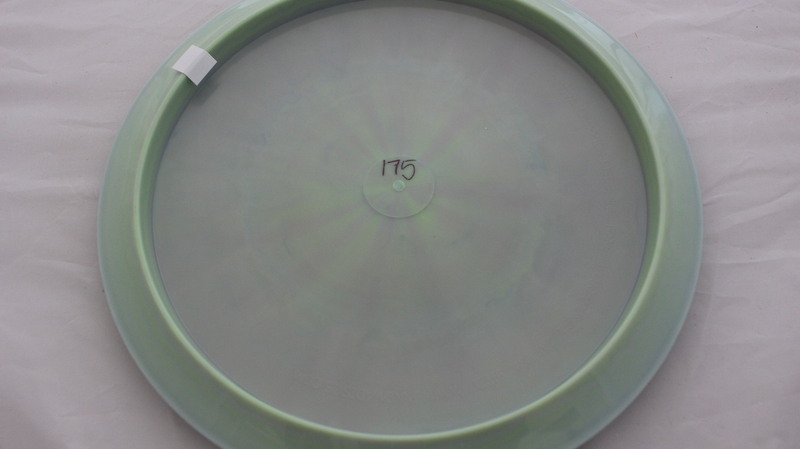 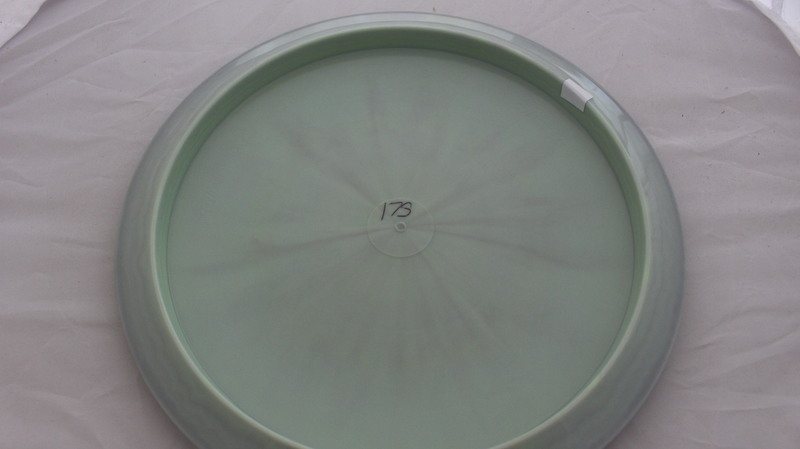 Green 175g Somewhat Domey Neutral Stiffness $20.18 Just 1 left!